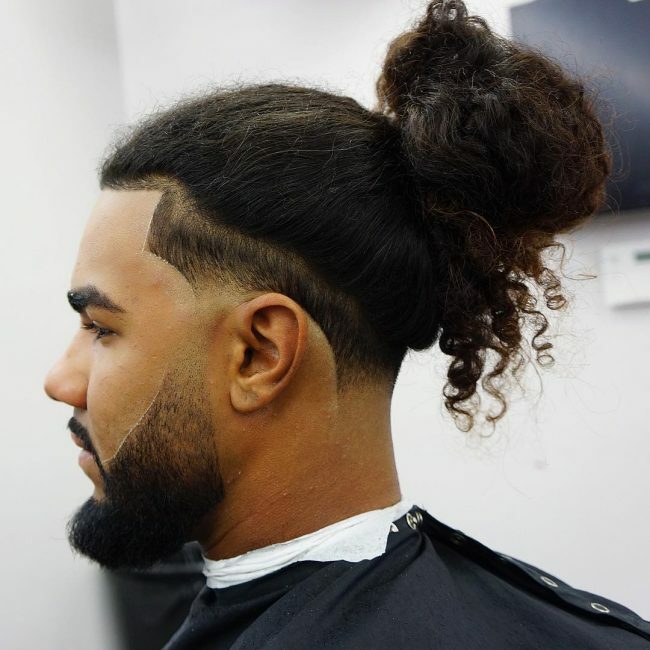 Wavy and curly hairstyles are as versatile as any other and contrary to what some men think these types of hair are also easy to cut and style. 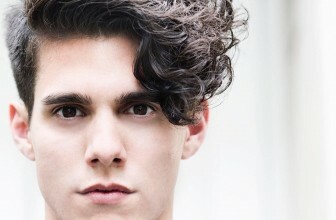 In fact, in most cases, you only need a simple cut to make your curly or wavy locks look fashionable. Whether you have a long mane or a short one there are still many styles that you can wear. And with a little creativity you can always be confident of a majestic appearance. 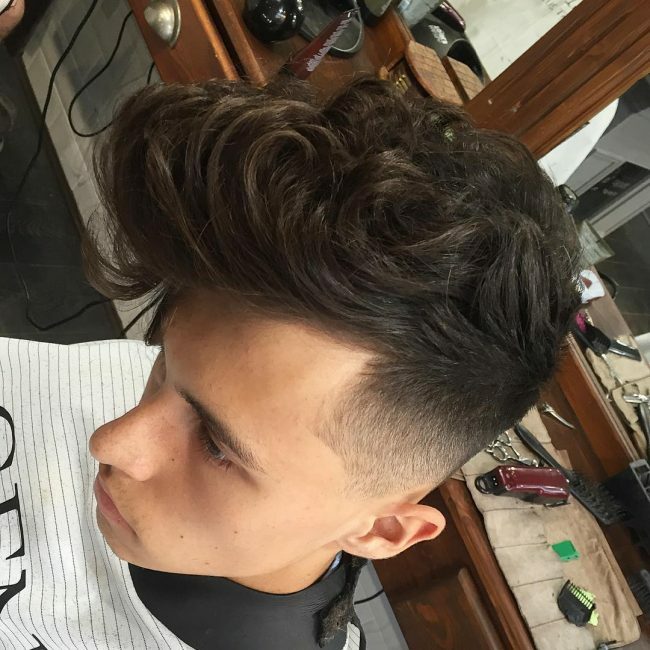 The 30 designs below portray different ways of cutting and styling wavy and curly locks. 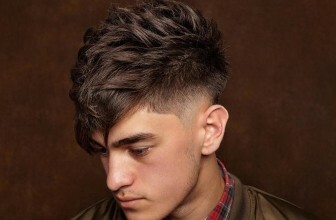 This hairdo is very adorable and unique and it also involves tapering the wavy locks and then slicking them back but giving the front ones a side sweep. If you have some thick natural curls you will not have to do a lot of styling. 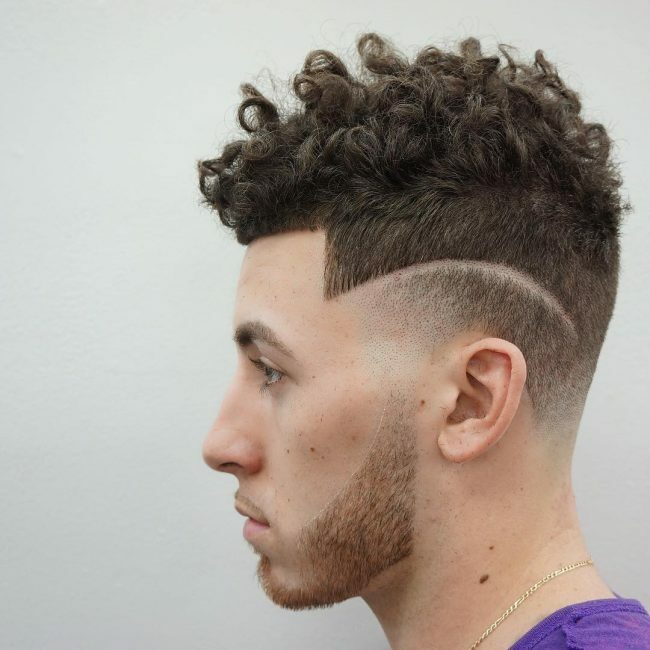 Making the sides short and giving them a skin fade while leaving the curls hanging over the forehead is enough to make you look majestic. An easy and straightforward design like this one will still get you looking elegant. 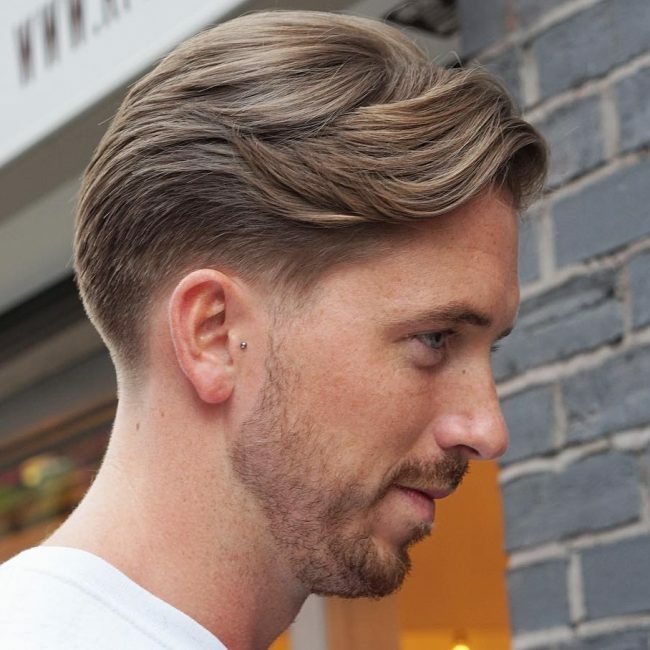 It entails leaving some front-swept waves at the top and then tapering the sides and back. The colors of these curly locks and their volume give them immense beauty. 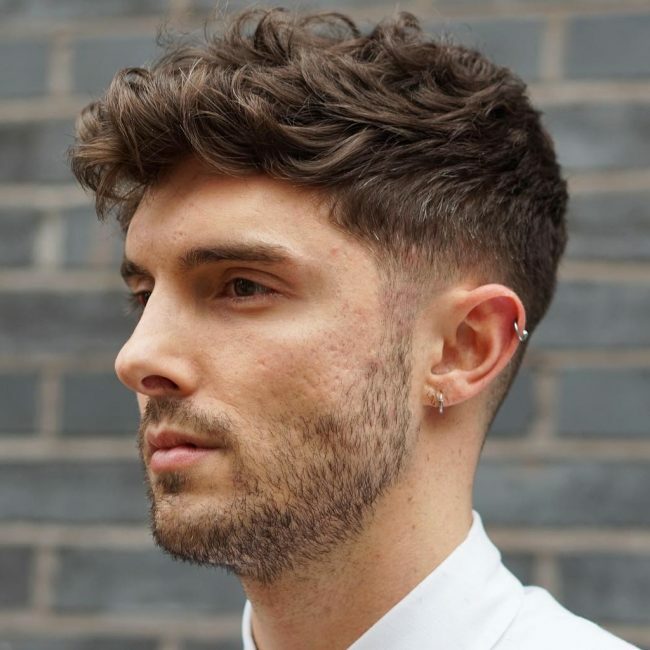 And with such an adorable hair a zero fade on the sides and giving the long ones at the top a subtle front sweep is all the styling you need. Bald fading the sides of this haircut makes a huge difference, and it is what makes this a top notch design because the long curls on the crown only have a simple upsweep design. This fancy hairstyle maintains some textured waves at the top with a beautiful purple shade, and you should style them with a sweep to the front. 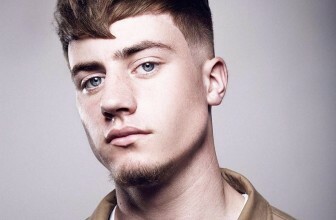 The hairdo also has a smooth taper fade on the sides that also adds some elegance to the design. 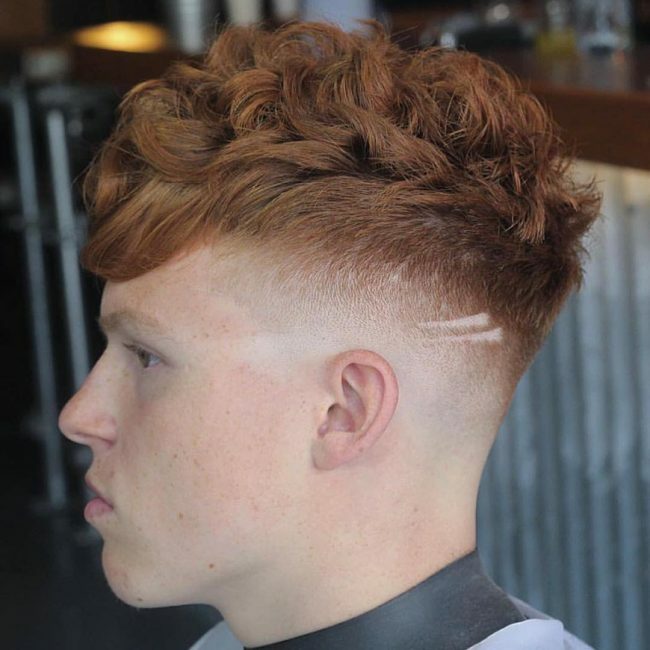 V-shape cuts are excellent when you want something simple and stylish. 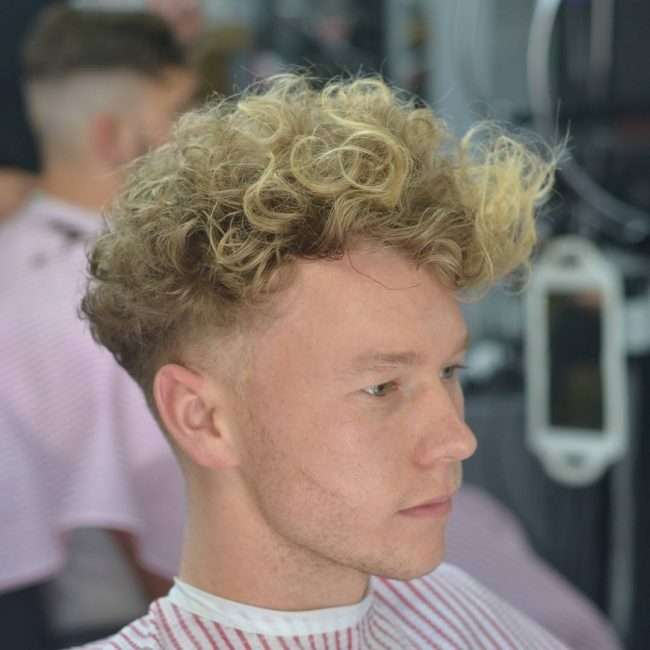 In this design, the natural textured short curls form a beautiful V design at the back that you should complement with a decent skin fade. 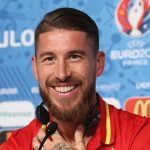 Undercuts also work for wavy hair, but you have to make them inventively to create a unique appearance. 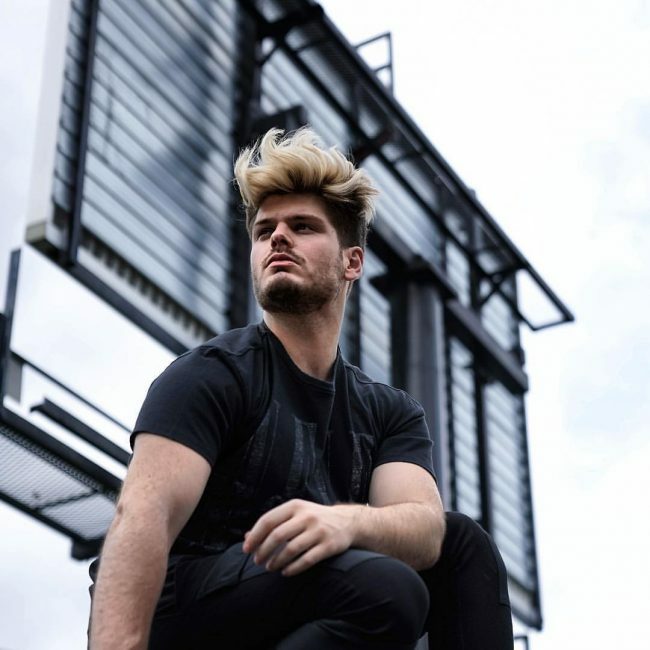 This design has short faded sides and a wavy hair at the top that you should style with a comb over and lift at the front. 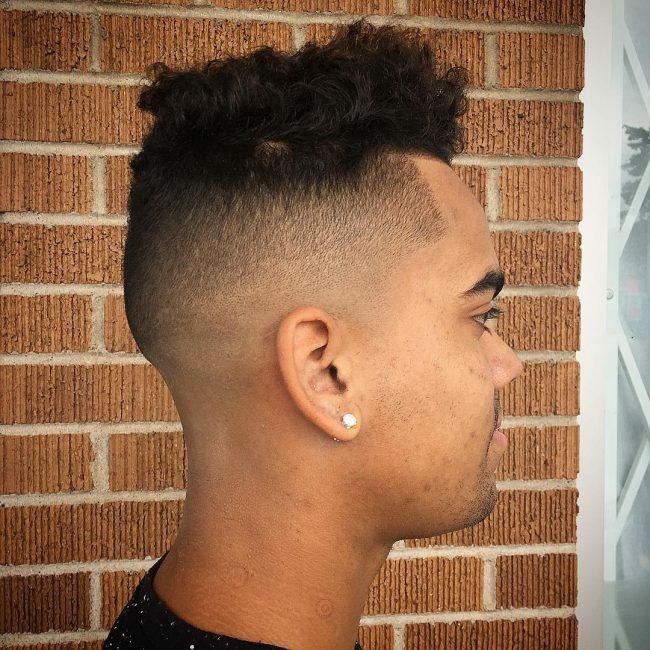 This funky haircut is for men with a thick and wavy hair, and it involves making the sides short and leaving the long hair at the top. 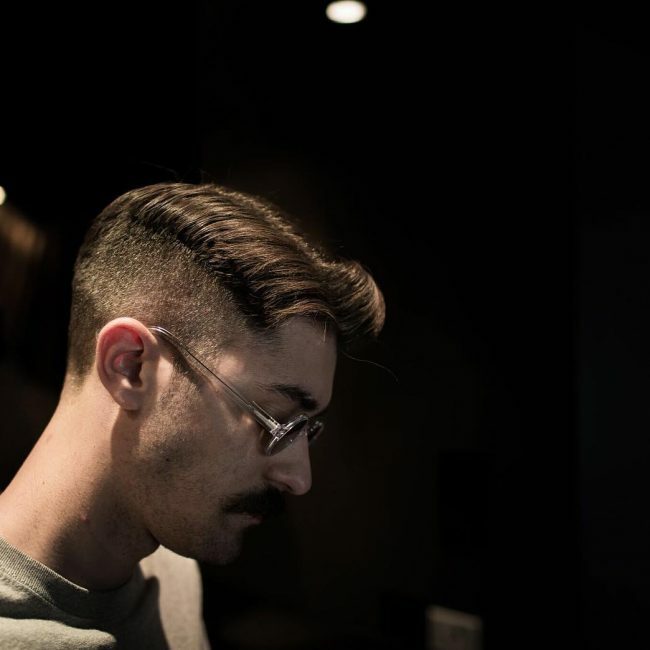 You should then form a razor line on the sides and style the long textured and wavy locks by sweeping them to the front. 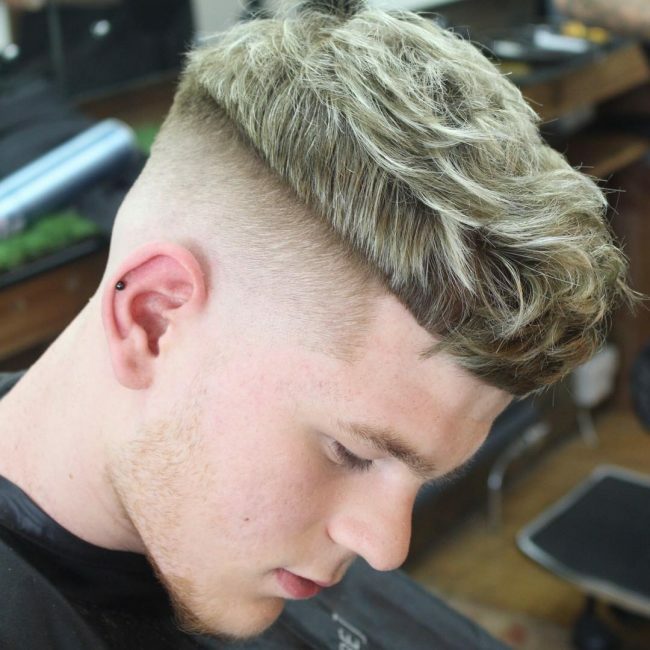 Blonde is a gorgeous shade even for men’s hair, and in this design it makes the thick wavy mane look fantastic. 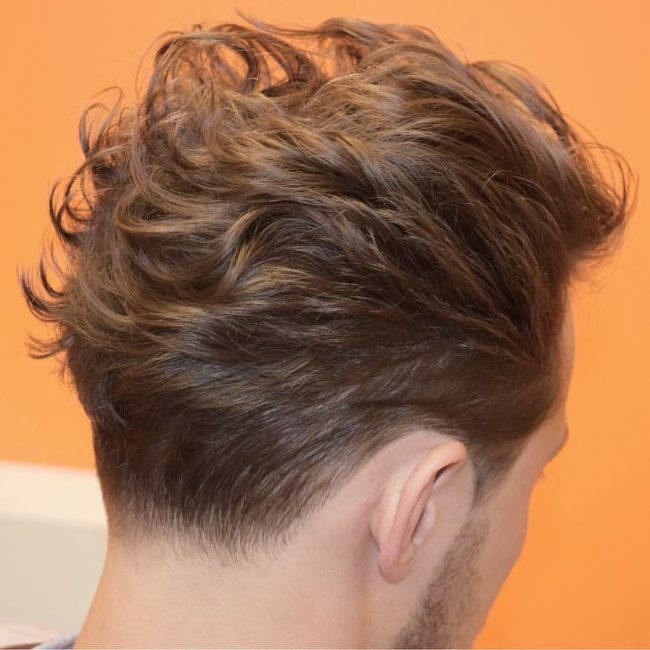 The style has some short sides and back and a thick upswept blonde hair. 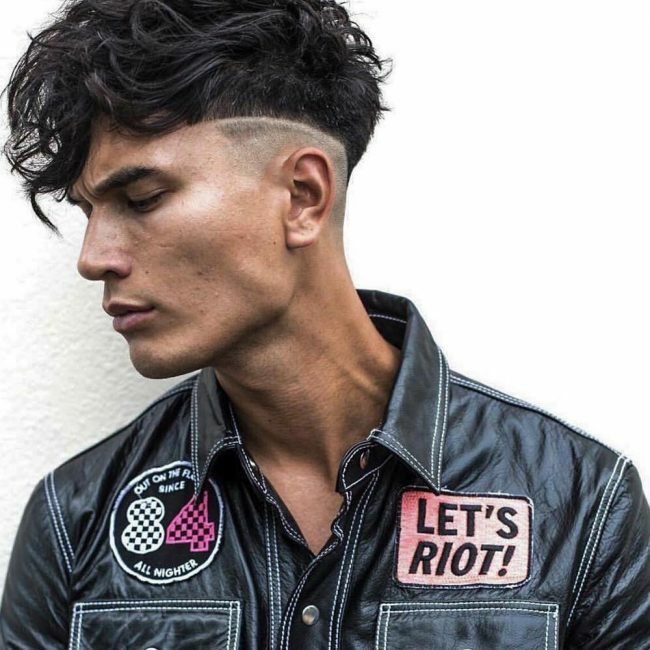 Mohawks make fine wavy and curly hairstyles. 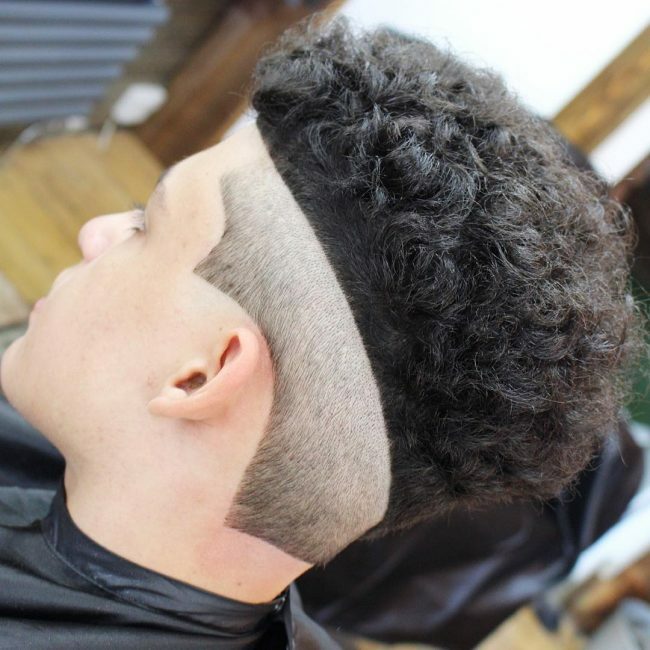 This design involves shaving the sides and back to create a beautiful V-shaped mohawk with a zero skin fade. 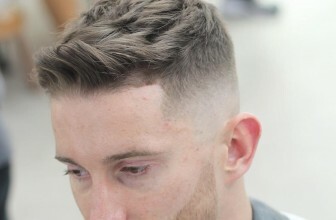 A tapered cut like this one is easy to create and it will make a man look magnificent. 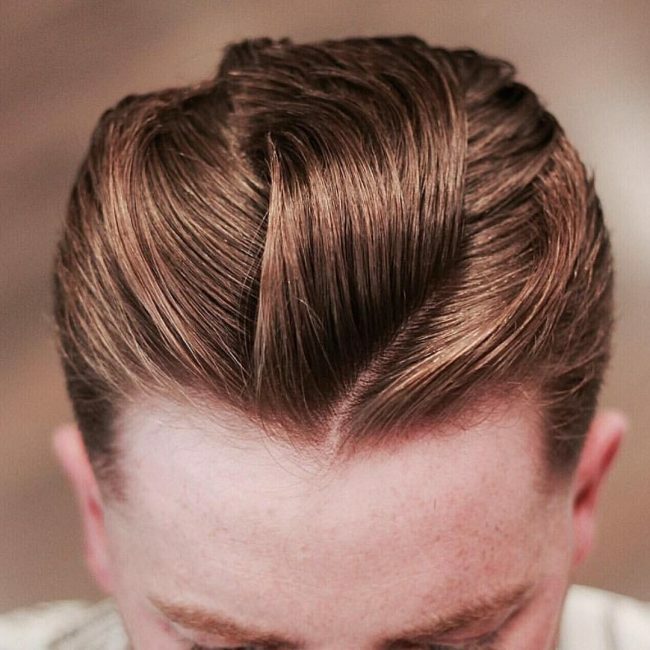 It entails leaving some long wavy locks on the crown and tapering the sides and back. 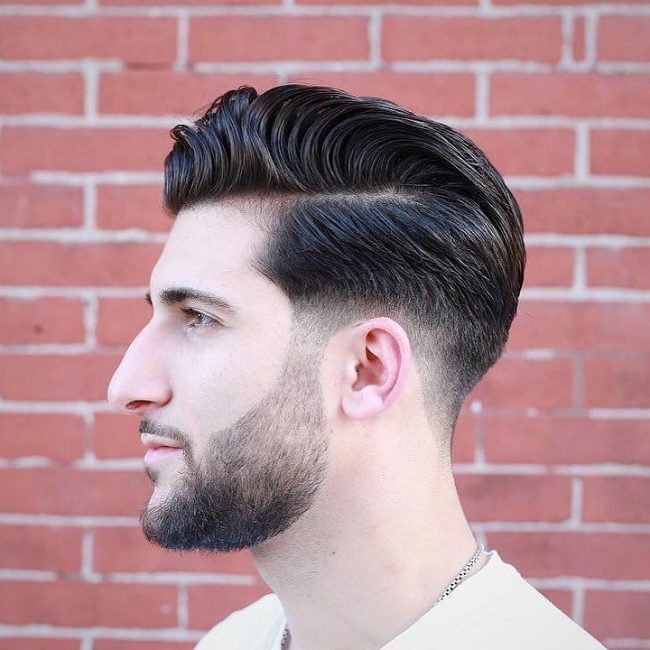 This haircut is just stunning, and it involves leaving some long and wavy strands on the crown and tapering the rest of the head. The long strands at the top also have a side part and an innovative styling. 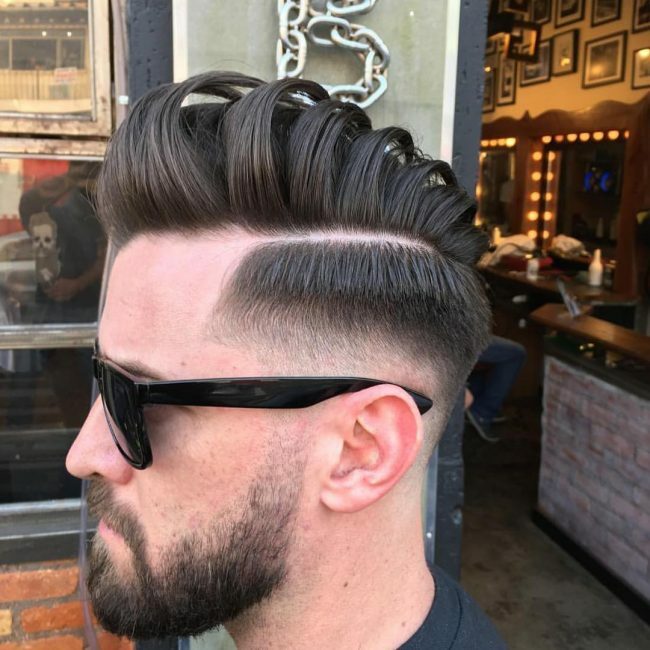 The high and textured comb-over on this hairstyle, the side-part and the tapering at the back and sides are just breathtaking. This chic hairdo also finishes with a zero fade that makes it look exquisite. 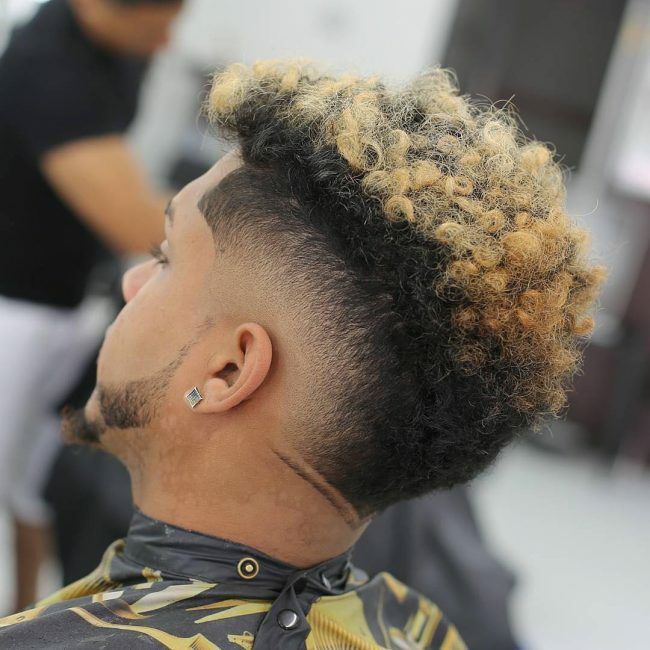 If you have a thick afro curls like these, you will only need to shave the sides short and fade them to create a refined faux hawk design. 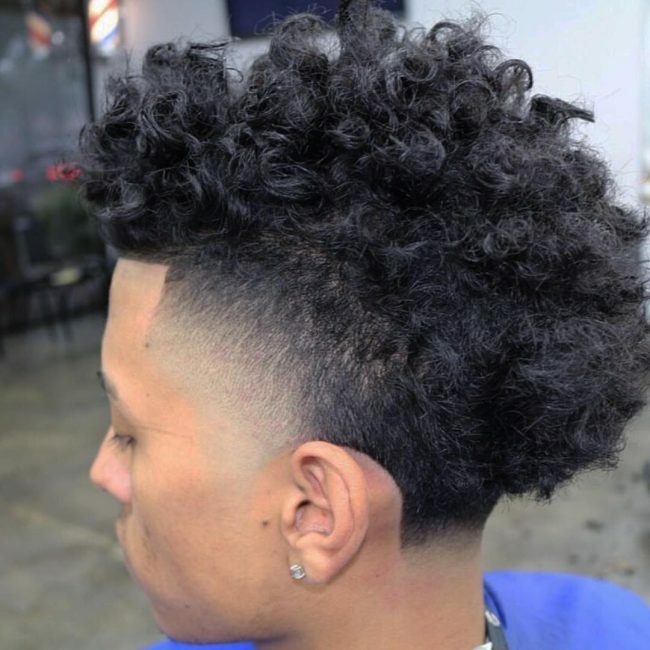 Just like most other wavy and curly hairstyles, this one does not require a lot of work to create. To form it you only need to trim the sides of your hair and leave some messy long locks at the top of the head. These short bangs have an excellent texture and a beautiful brown shade and a simple front sweep. 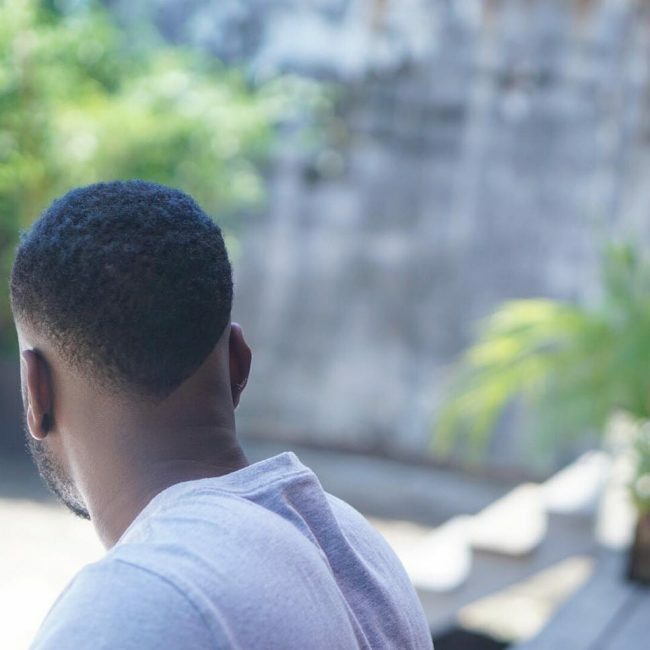 This design also has a nice skin fade on the sides and back that ensures that all the attention remains on the strands at the top. 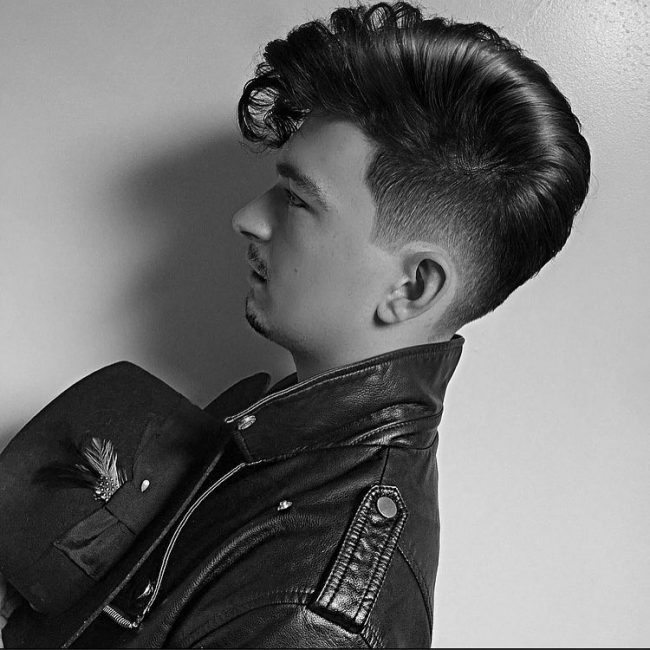 This haircut has all the characteristics of the pompadour, but it does not look anything like the classic one. It has some textured wavy bangs at the front, and you should style them with a front and up sweep to create a stylish appearance. 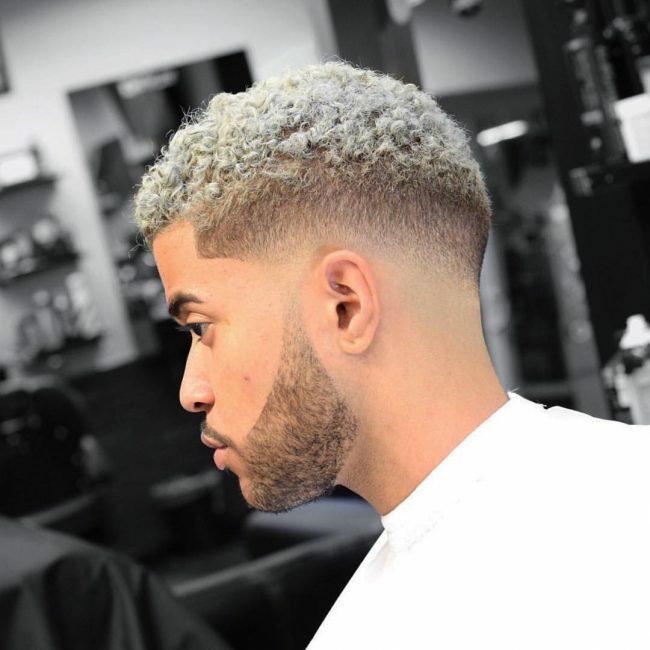 Sponge curls are lovely and the ones on this design have a beautiful gray shade and skin fade on the sides. The style also has a cute line-up at the front and on the facial hairs. The volume of this mane is fantastic, and it also has some nice waves, but the cut is what makes it a top notch design. It entails giving the hair a V-shape cut at the back, a side part and lifting it at the front to create a massive pompadour. 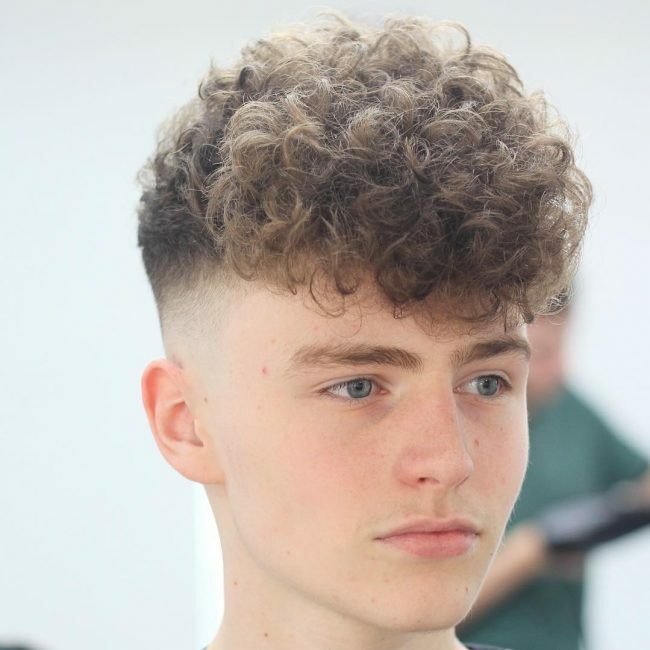 A moderate trim is all that you need for this style, and once you have it, you should cut a soft side part and then push some of the textured curls diagonally and over the forehead. For this fancy hairdo, you will need to trim your strands to a few inches. You should then use some gel to style them into some fancy and intricate waves that flow to the back. Every gentleman should wear a top notch hairdo like this one. So it is a beautiful design that entails tapering the sides and back and leaving a long wavy hair at the upper part that you should sweep to the side. These curly locks are natural and they also have an excellent volume and size. However, their distinct appearance comes from giving them a geometric fade on the sides to create an inventive mohawk design. 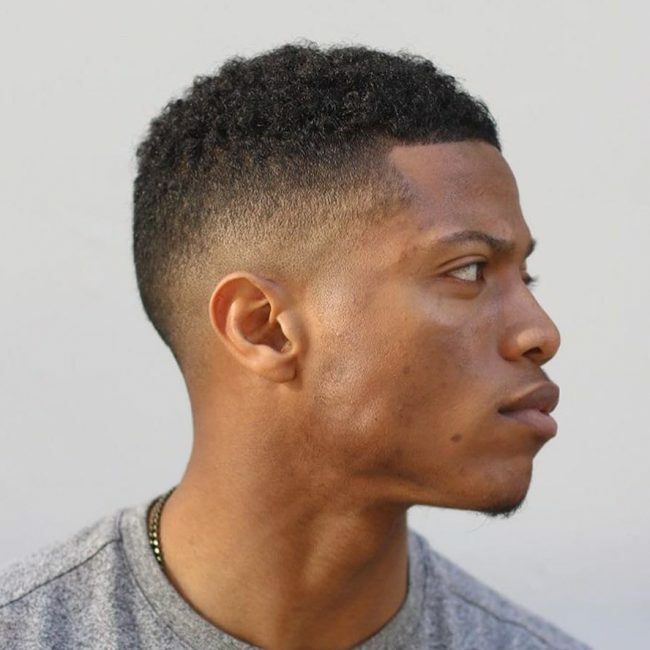 The wavy locks at the top section of this hairdo have a beautiful and precise blunt cut that pairs with the skin fade on the sides to create an extra-chic haircut that will make a man look very polished. 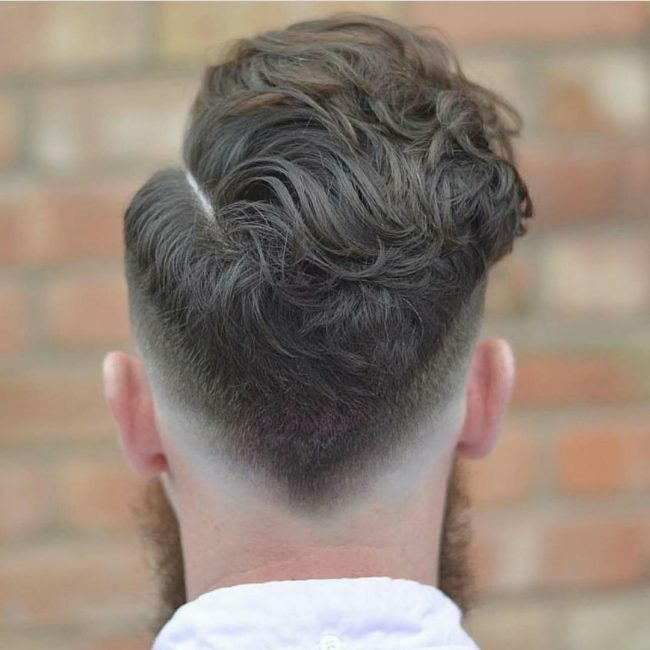 A simple tapering at the back is all the cutting that you need to create this hairdo. 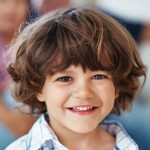 It has some wavy and textured strands at the top that you should style by brushing back the waves and making them messy slightly. An old school look like this one will make you look refined and make sure you always stand out from the rest. To create this look you should leave a thick mane at the middle of the head and lift it before sweeping it to the side to create the vintage appearance. African Americans have a textured and voluminous natural hair and it is what makes this style ideal for them. This simple headdress requires you to maintain your short natural curls on the crown and give the sides a zero fade. 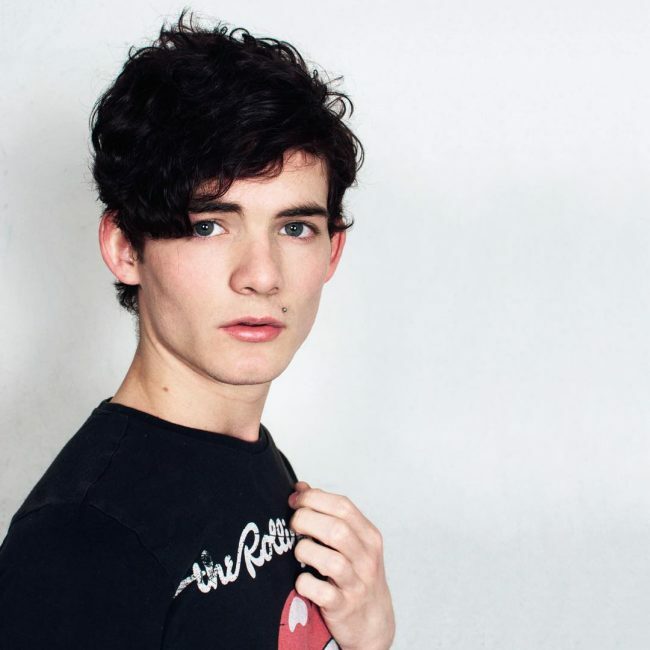 Your thick long and curly hair is gorgeous enough and so you do not have to waste a lot of time to style it. 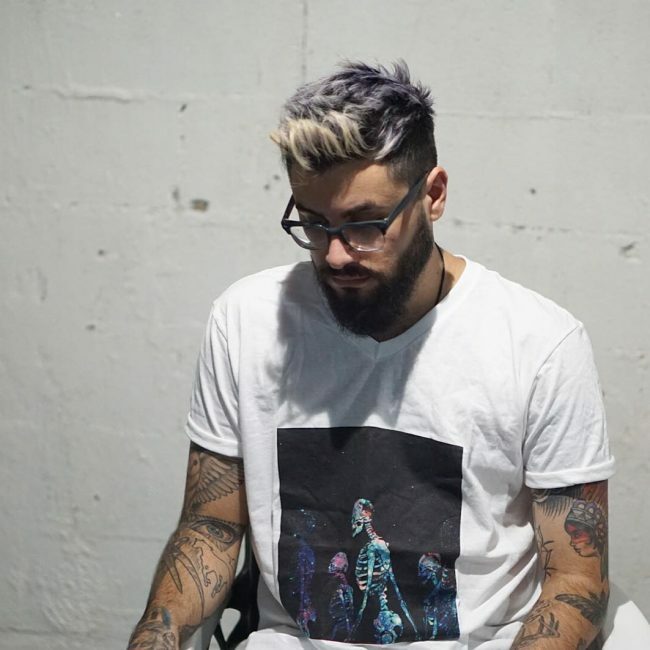 Giving a faded undercut on the sides and pulling it into a massive man bun is enough to make you look stunning. 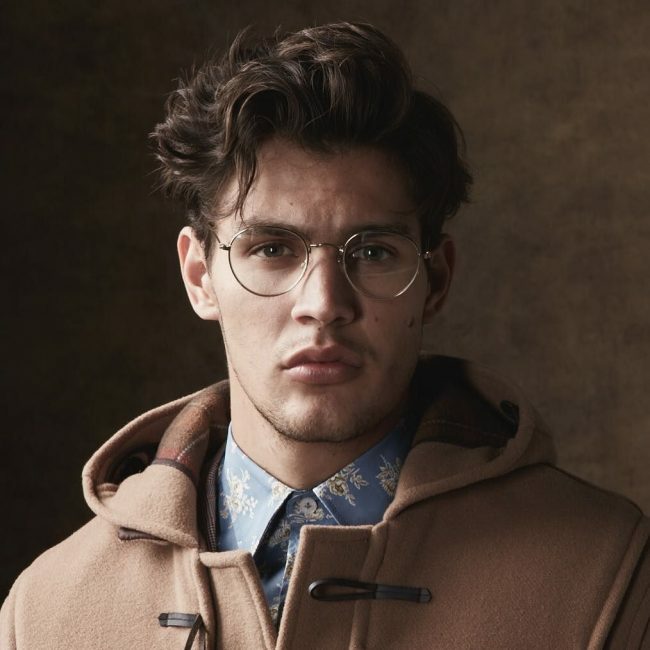 First of all, to replicate this look you should leave some messy short curls at the top and then shave and taper fade the sides. Also, give the smooth side a carved razor line to add some detail to the appearance. Wavy and curly hairstyles come in different sizes and shapes meaning that you should never lack ideas with your tresses because the options are endless. 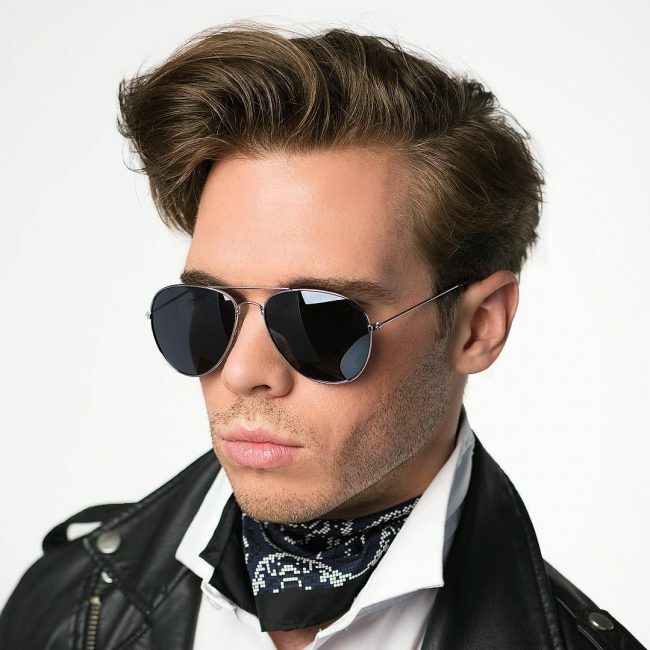 The 30 polished styles above will work for most men provided they have the right length and know how to cut and style their mane.